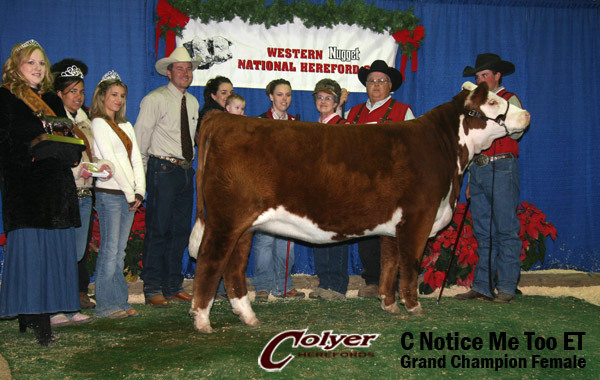 One of the most popular show heifers in recent years and was a "Triple Crown" winner. 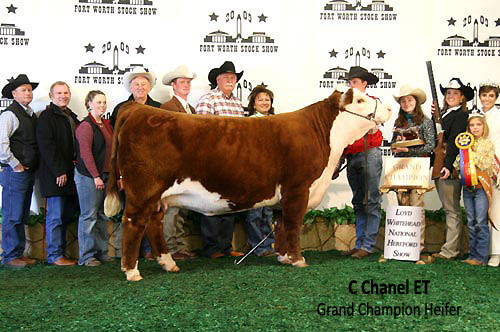 She was named Grand Champion Horned female at Reno, Denver, and Ft. Worth during the 2008-2009 show season. CHANEL has tremendous rib, volume and capacity and combines that with extra femininity. 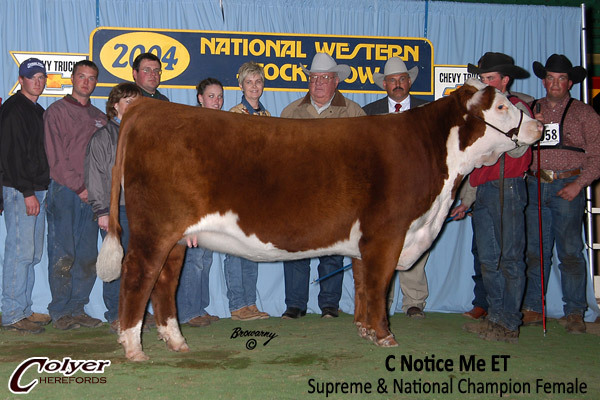 She weaned her first calf with a WWR of 108% with an excellent shaped udder before entering our ET program. 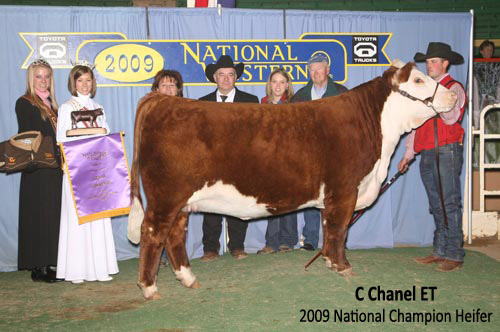 CHANEL was the top selling heifer in our 2008 Internet sale at $20,500 for one-half interest selling to Taylor Schrick, Sayre, OK. 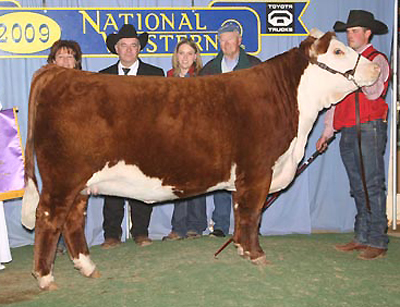 Her first ET heifer calf will be a sale feature in this year's Internet sale.